More than 1,340 pages of listings and prices – with $60 Million worth of cards priced in this edition straight off the press. Checklists, photos and pricing information for baseball-related collectibles from 1867 to the present. 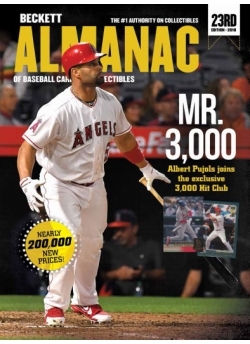 Information on baseball cards, including price, year of release and set composition. Pricing for Canadian Cards, Discs, Major League Team Sets, Pre-War/Tobacco Cards, Stadium Giveaways, Stickers, Vintage Minor League Singles and much more!